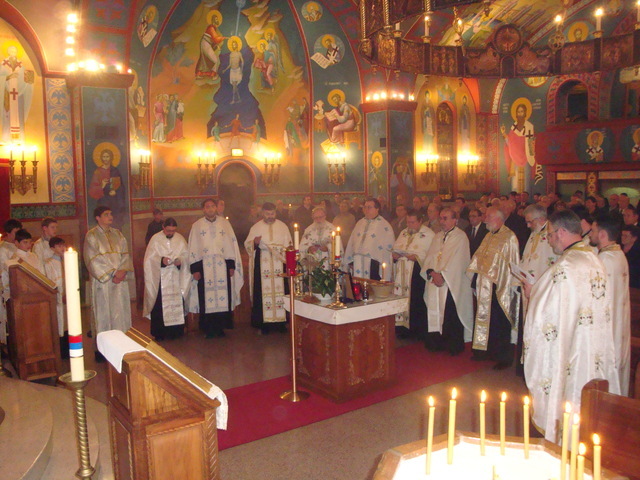 Schererville, IN - On Thursday, November 19, at 7:00 p.m., a Memorial Service for our beloved Serbian Patriarch Pavle, of blessed memory, was celebrated at St. George the Great Martyr Serbian Orthodox Church in Schererville, Indiana. 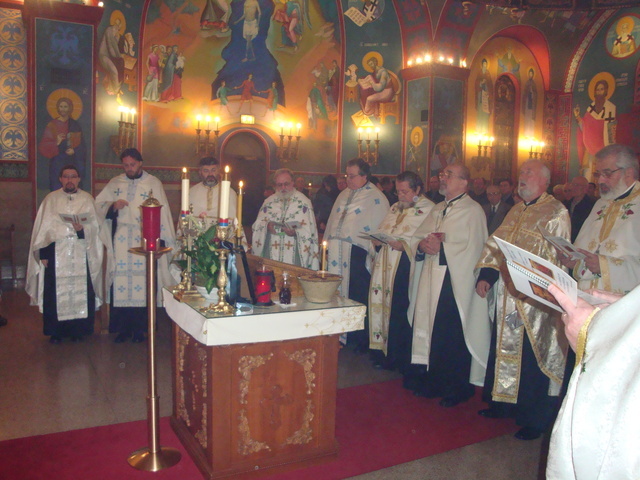 Twelve priests from the Chicago Deanery of the New Gracanica-Midwestern American Diocese took part in this service, including the local clergy from the American and Antiochian Orthodox Churches. 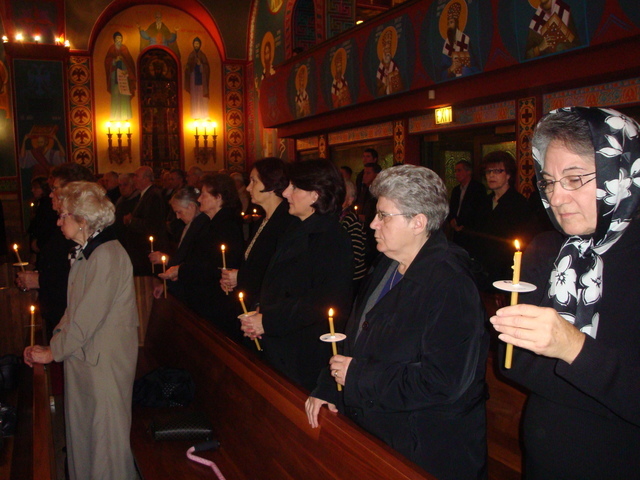 The holy house was filled with the pious and faithful people from Northwestern Indiana, South Chicago, Joliet and surrounding areas. 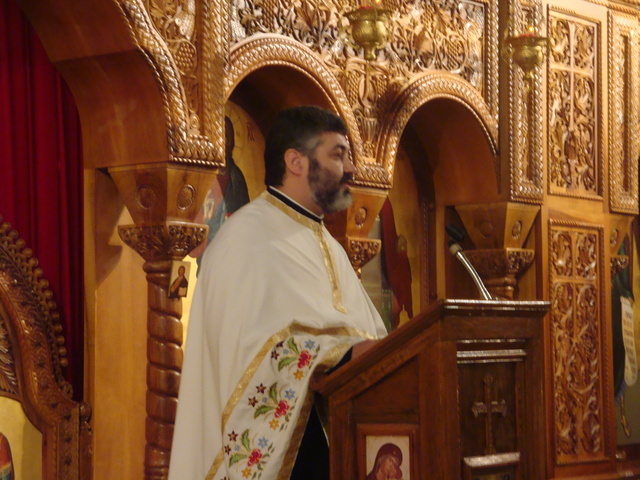 Following the service, faithful were first addressed by Protopresbyter-Stavrophor Nedeljko Lunich, Dean of the Chicago Deanery. 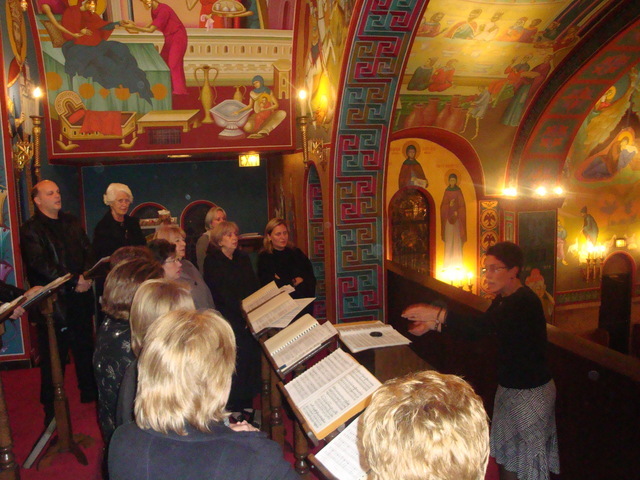 Preaching in English, Fr. Nedeljko reflected on the saintly life and work of our Serbian Patriarch, emphasizing his manifold merits for the wellbeing of our Serbian Orthodox Church and our much suffering people. 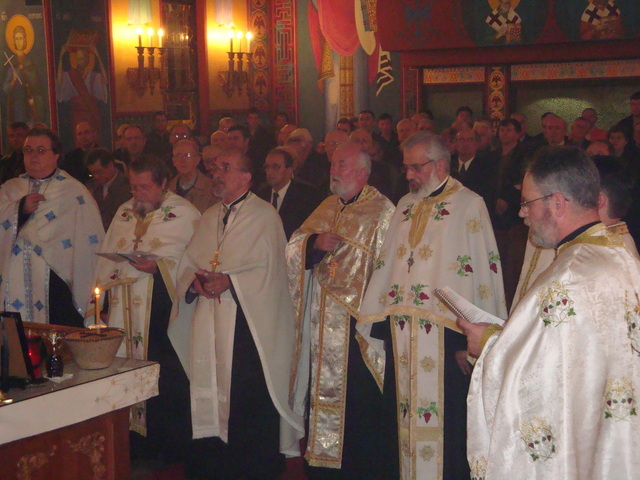 Prota especially highlighted the efforts of the Serbian Patriarch which have by far exceeded the borders of our local autocephalous church and have made significant imprints on worldwide Orthodoxy as well as humanity in general. 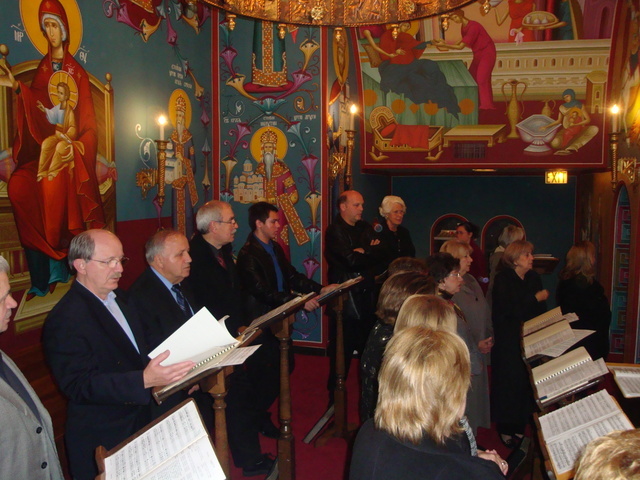 Above all, His Holiness played a major leading role in achieving liturgical and administrative unity of the Serbian Orthodox Church in diaspora, particularly in USA and Canada. 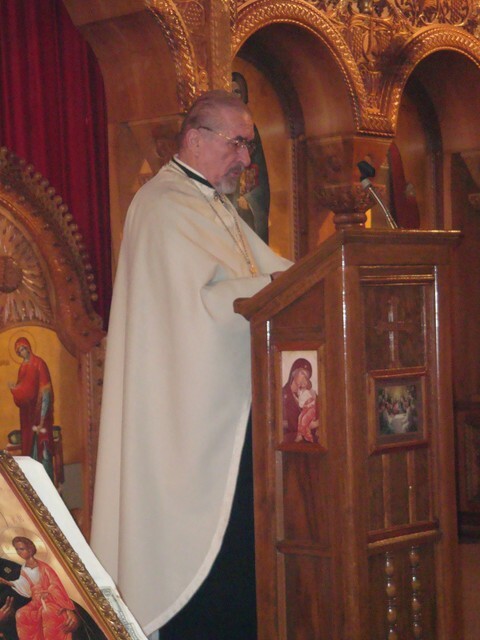 Host priest, Prota Dobrivoje Milunovic, offered an inspiring eulogy in Serbian. Briefly, he reflected on the life of Patriarch Pavle, underlining and reminiscing on the most significant events of his life. In particular, he indicated that the whole life of Patriarch Pavle, from his childhood until end, was a life of a martyr and an ascetic, especially his thirty four years spent on Kosovo and Metohija and the Raska region. He compared the repose of Patriarch Pavle with the loss of a father who, having orphaned us here on earth, became our fervent intercessor before the throne of the Almighty. May the Good Lord grant eternal repose to His Holiness our Patriarch +Pavle, and may his soul rest in the bosom of Abraham. May his Memory be eternal!